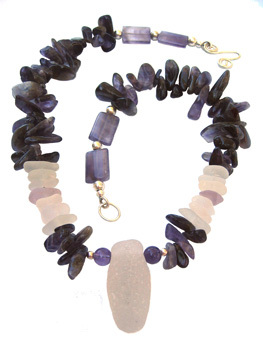 This necklace is ooverflowing with pure elegance and natural Amethyst square beads, round beads and large top drilled abstract beads. The center sea glass focal point is a white flawless old perfume or decanter stopper - measuring aprox 1.75 inches in length and 1/2 inch deep - perfectly smoothed and rounded. 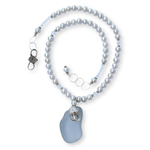 Six white pieces and one lavender sea glass piece flank each side. 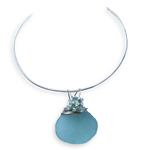 There is a sterling silver handmade hook clasp. 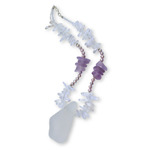 Sea Glass and Natural Amethyst Sterling Silver Necklace.